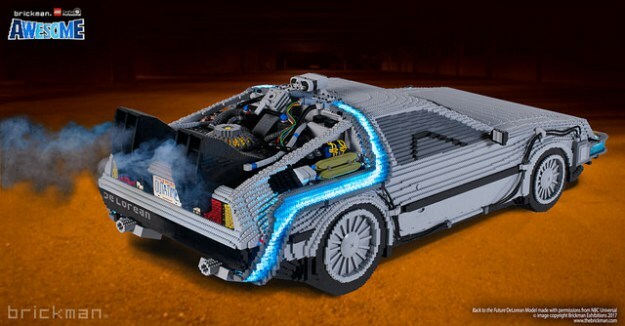 65,000 bricks at 88 miles per hour: The world’s biggest LEGO DeLorean from Back to the Future #SciFiSunday « Adafruit Industries – Makers, hackers, artists, designers and engineers! Awesome new build from Ryan McNaught featured on The Brothers Brick. While this LEGO recreation of the famous Back to the Future DeLorean time machine may not be the scientific breakthrough a real time machine would be, it most definitely is a great artistic feat. After being granted rights by NBC Universal, Ryan McNaught assembled a team to build this near-perfect version of the DeLorean from the first film out of 65,143 bricks.